Yesterday morning when I left Astorga, I was surprised by the town’s fantastic Gaudí church, one of the few outside Catalunya, completely overshadowing the Cathedral next door. But this was far from characteristic of the day ahead! The rest of the day was more rural, with a steady incline over around 20km. By the time I reached my stop for the day I was completely exhausted! I dropped into the first place I saw and it just so happened they had single rooms. 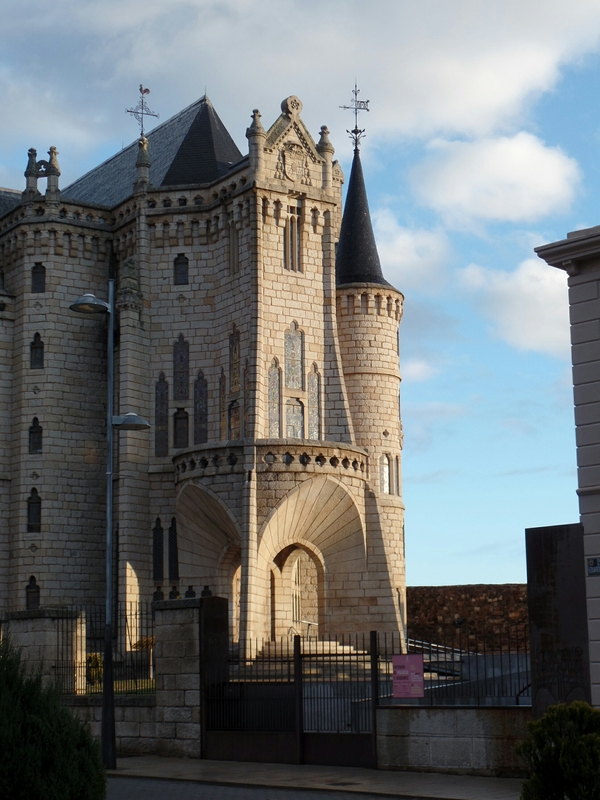 It’s the first time I’ve stayed in one while walking the Camino, and it was just as well because I woke up several times in the night with a raging temperature. In the morning my hosts evidently felt concerned about me, giving me extra toast so I would be strong for the day ahead. Another example of Camino kindness. 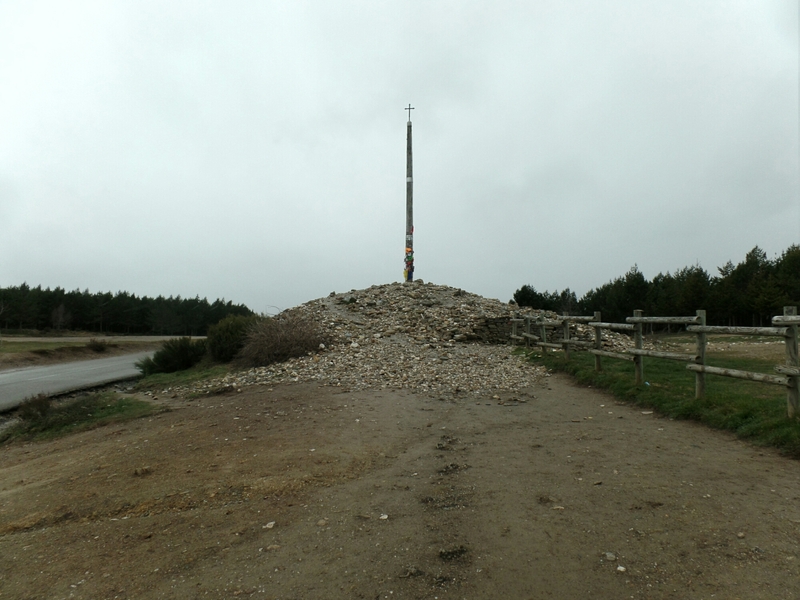 I decided to do a short day, taking in the all-important Cruz De Fierro, the highest point on the way, stopping as soon as possible after that. Following some pretty stiff mountain climbing in the rain, I was there. 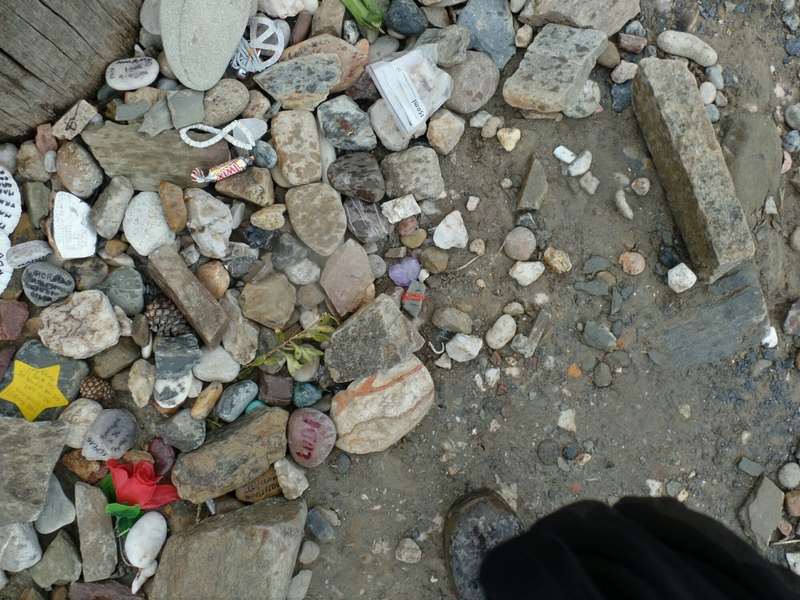 It was very moving, lots of people leave stones and trinkets – often brought all the way from home – representing their hopes and letting go of sadness. My planned rest stop was not far away… But… turns out this particular hostel is modelled on the Knights Templar, all straw matresses on the floor and only one, outdoor, loo. Not the place to sleep off a cold. They gave me a cup of lukewarm coffee that tasted of mud, and I headed on my way. The next couple of hours were spent picking my way down a difficult flinty path, and the rain didn’t let up once. 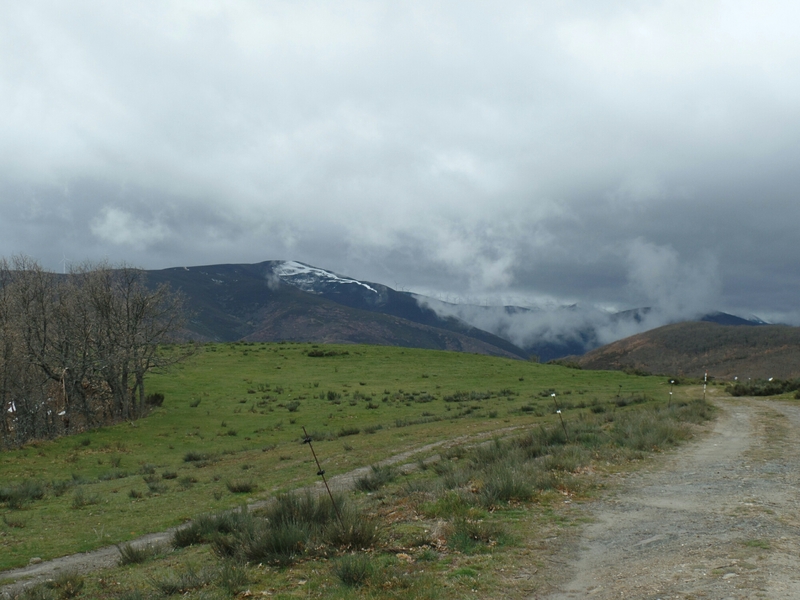 The landscape was bleak, surrounded by black mountains, plastered with snow, with clouds rising from them like steam. I can’t be the only one who finds this stretch a challenge, the path was littered with adverts for taxi companies!! 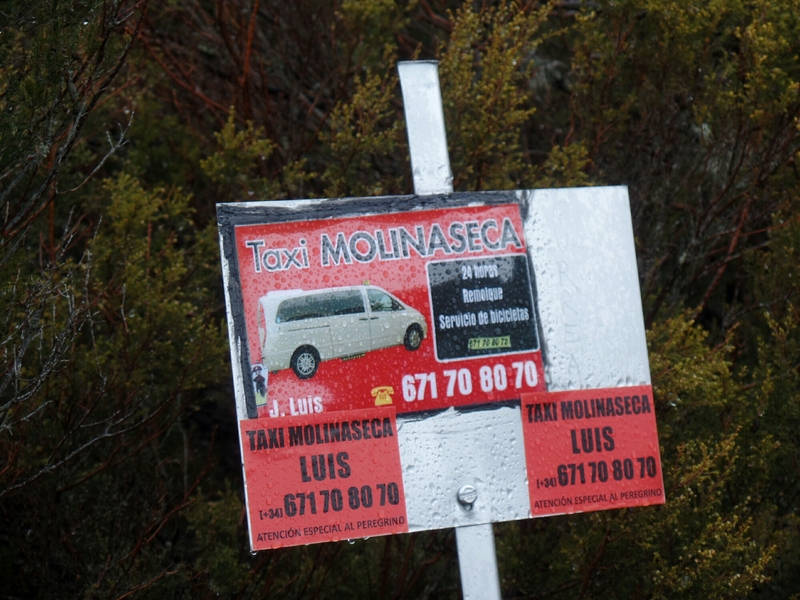 But even here the Camino provides. When I stopped, complete tranquility. Not a sound except the rain and the birds. I even spotted a deer. I eventually made it to el Acebo, and I’m pleased to say I’ve found a nice place (thanks to Dave for the recommendation). And, despite fighting my way along the Camino today, I’m starting to feel stronger. I’m starting to feel like I might just make it.